News item from The Muskegon Chronicle Thursday, April 10th, 1947 To Erect $50,000. Open Air Theatre Near Airport Road. An open air theatre to be one of the most modern of its kind in Michigan and estimated to cost in excess of $50,000. 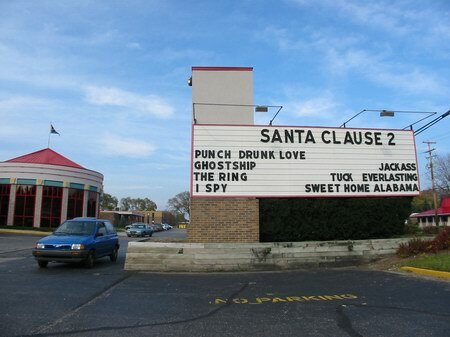 Is planned on U. S.
31 near the Airport road by the Central Drive-in Theatres Inc. of Cleveland, Ohio. Operators of a chain of such amusement enterprises, The corporation, with plans also completed for Theatres near South Bend Indianapolis, has filed application with the office of the Housing Expeditor for construction of buildings here. 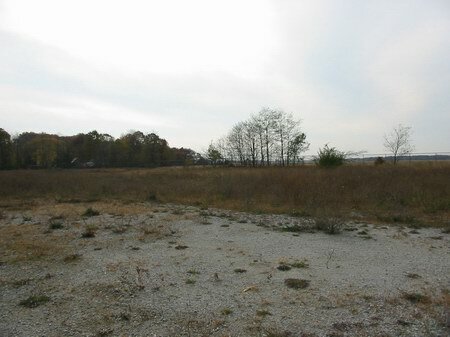 The firm has purchased three acres on U.
S. 31 and has started grading it. Should approval be obtained for the necessary buildings, the Theatre will open May 15th. 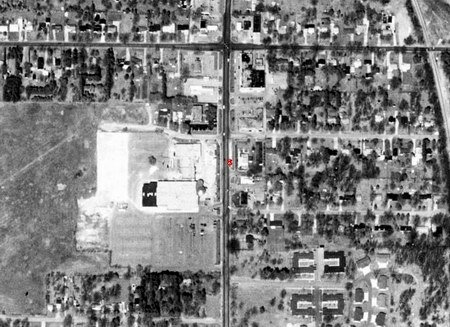 Sale of the land was handled through the Muskegon Property Management Corporation. The Theatre to be open seven months of the year, will have a capacity of 700 cars. A 60-foot screen will be installed in one of the two buildings. The second building will include a refreshment stand, Washrooms, a ticket office, and a managers office will be installed. A sound system, with individual loud speakers for each car will also be installed. The Area will be graded with gravel at varied heights to enable each car to be slightly above the one in front. The entire area will be surrounded by an eight-foot fence. Construction of the theatre is being handled by the West and Rublein Construction company. Albert Oaks of Cleveland, is handling local arrangements for the Corporation. 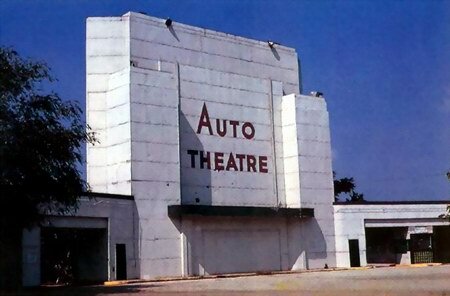 February 1959 - The Auto Drive-In, Muskegon is closing up shop. Previous Names:MUSKEGON,MUSKEGON AUTO THEATRE Status:Gone, replaced by hardtop parking lot. (RG 5-30-99). 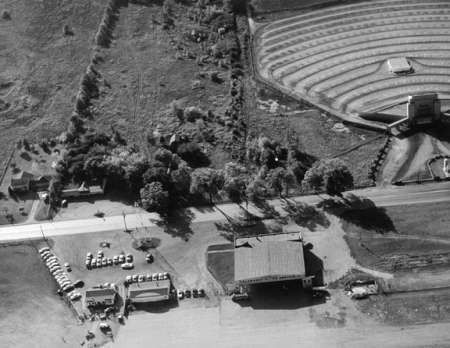 The Auto Drive-In, as it was originally known, was at 4291 Grand Haven Rd. It was demolished before 1982, but you can see it in John Margolies book Ticket To Paradise. Darren Snow.